Inverness CT and Dundee go head to head in the final game of the Scottish Premiership season, with both teams hoping to finish at the top of the bottom half of the table. Our free betting tips and predictions suggest that both sides will get on the scoresheet on Saturday. Inverness CT moved into the top position in the bottom half of the Scottish Premiership split when they beat Hamilton Academical 1-0 on Wednesday night, but they will need to avoid defeat on the final day of the season if they are to maintain that position. Dundee sit just one point below them, so a win would see them leapfrog their hosts. Inverness CT are actually in really good form though. They have only lost one of their last six matches in the Premiership and have won four times during this period. If only this form had come a bit earlier they would have been involved in the top half of the table, but their seven match winless streak prior to their good run halted those ambitions. Dundee were looking well in line for a top six finish, but unfortunately for them were pushed out of the top half on the final day before the split, and they come into this match having relinquished their top spot in the bottom half after a 1-1 draw with Kilmarnock on Wednesday. This draw made it two wins, two defeats, and two draws in their last six games, and their poor winning record stretches back further than that. They have only won three of their last 12 games in all competitions and have won just two of their last 16 away days in all competitions. Inverness CT have only won one of their last six games at home though, and last time out were defeated by the already relegated Dundee United. Dundee went through a phase of tough away games where they just couldn’t score recently, although Aberdeen, Celtic, and Rangers were three of their opponents during that five match run. They have improved recently though and have found the net in each of their last three games, meaning they have scored in ten of their last 15 away days. Inverness CT have only kept one clean sheet in their last seven home games too and have scored in five of these seven. Dundee have conceded in 12 of their last 15 away days, so odds of 8/11 for Both Teams to Score look very attractive. I’m going for a 2-2 correct score prediction at 12/1. The last three meetings between Inverness CT and Dundee have ended as draws, but the hosts haven't lost against Dundee since 2009, with six wins and eight draws making up the results since then. 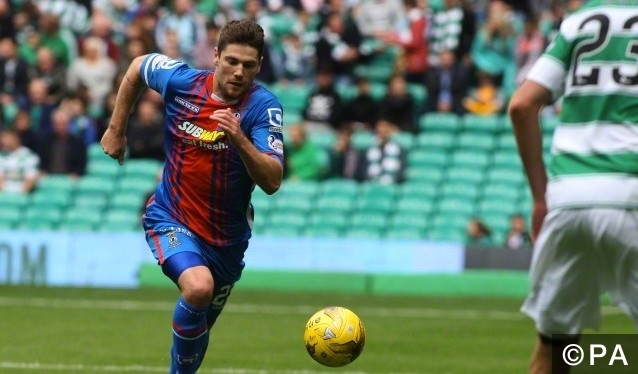 Right midfielder Aaron Doran is the only casualty for Inverness CT. Defensive trio James McPake, Thomas Konrad, and Cammy Kerr are all injured, as are midfield duo Nicky Low and Paul McGowan. Both teams have scored in 65% of Dundee’s games this season and in 57% of Inverness CT’s.